even after pulling up the freshly laid sod. At the reinspection, requested by clients, you can see after the builder rep originally claimed there was a ground rod as needed, all they could do after excessive digging, was produce a loose copper wire (left pic), which is probably the grounding wire that should have been connected to a ground rod. 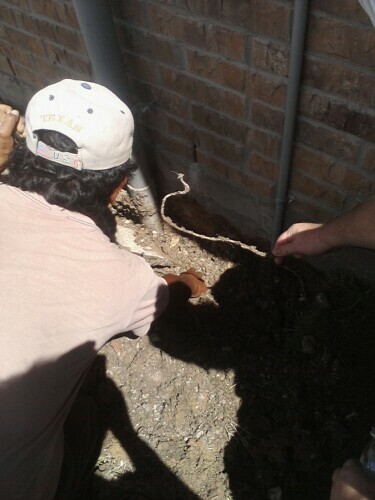 They ended up, giving up digging for the ground rod that wasn't there and installed one (right pic) as the homebuyers of this new home, present for this inspection watched. 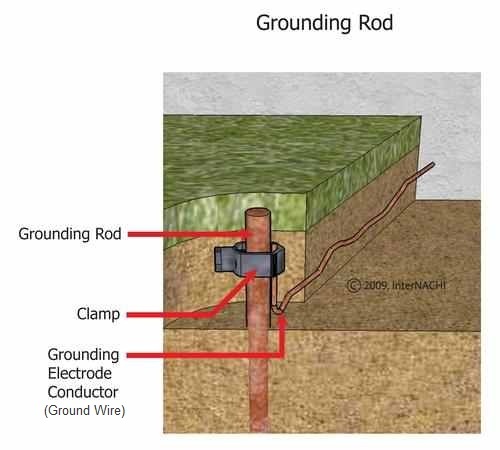 This image does give/show an unrealistic totally vertical installation of the ground rod. Even with perfect conditions a vertical install is not likely. Up to a 45 degree installation is acceptable. 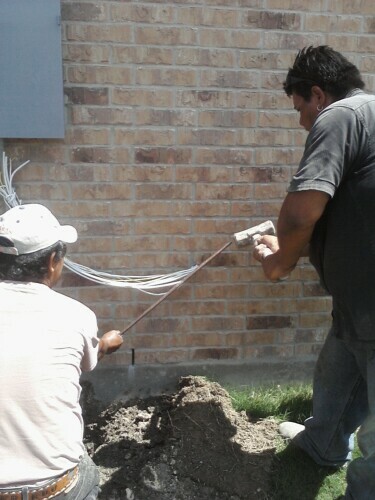 With the rocky soils in many San Antonio areas, most installs of ground rods are angled and luckily will meet the 45 degree rule. At the inspection above the 45 degree max install was verified (when it was actually installed).